There are certain folk out there who get a rush from the phrase 'triple word score' or the flash of a four-colour 'wild' card. They have an unusual affinity with thimbles and top hats, and learned the art of a good poker face alongside their times tables. If you're in search of a Brisbane bar that will satisfy your thirst for triumph over your friends and loved ones, why leave it up to chance? We know the best spots in town where you can yell out "YAHTZEE!" and still keep your dignity in tact. Like nostalgia in a box, board games are the great unifier and divider of our collective childhoods. Who doesn't have fond memories (possibly repressed ones) about school holidays and power blackouts spent huddled together rolling dice and tallying up towards glory? Board games have an uncanny ability to bring out a person's true colours. Haven't had a rainy day board game bonanza with your significant other and witnessed that crazed look in their eyes as they sink your battle ship? Date night at one of the following Brisbane bars will soon reveal if your special someone is an unbearable winner or a sore loser. If they still return your calls after seeing your fiercely competitive obsession with word games, you're onto a winner. These are the best bars in Brisbane doing board games. What Milton's favourite hipster hangout lacks in eats, they make up for with good old fashioned fun times. That said, The Scratch still do a pretty mean cheese platter that has won the praise of the after work and Sunday sesh crowds. 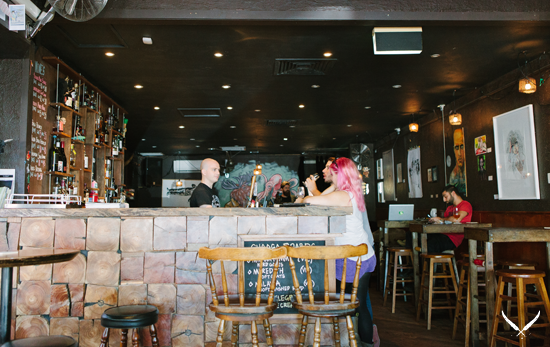 Beer snobs can wet their whistles with crafty pints from the rotating taps, and chat to the friendly barkeep about a shared dislike of XXXX without feeling like a bad Queenslander. Pull up a couch in the back of this pseudo-man-cave and settle in for an evening of good drinking and deep thinking. Why not test your palate as well as your noodle by ordering a cider spider? This hole-in-the-wall Ashgrovian establishment has been on our radars for a long time now, but their recent addition of the secret Skukum Lounge has rekindled the old flame. A bigfoot-themed bar within a bar just screams 'board game paradise'. 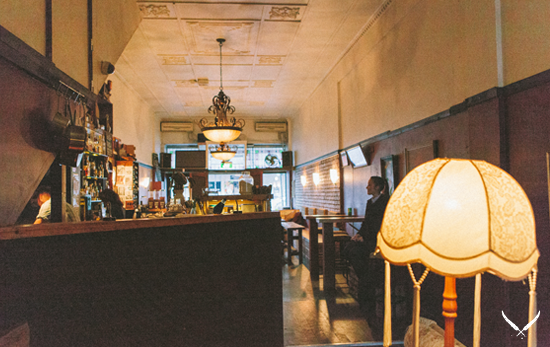 Still as kitschy and cosy as ever, Junk Bar never fails to attract a midweek crowd keen to shake off their workaday worries with a Jimmy Colada and a game of backgammon or chess. If you're yet to uncover to this suburban gem, just imagine a dimly lit '70s log cabin where vinyl crooners bounce off the alpine wallpaper and taxidermised deer heads watch on from above. You're halfway there. The heaps chill New Farm locale Escobar (from the good people who brought you Pablo) takes you back to a time before Facebook, when the closest thing was probably the lineup on a game of 'Guess Who?'. Pop into Escobar and say hello to Boggle, Scattegories, Connect 4 and Trivial Pursuit. The gang's all here! Housed in an old Queenslander with a retro fit out, Escobar has been on the lips of locals for a few months now, who continue to rave about the laidback vibes and Nanna-inspired menu – think devilled eggs, cheesy fondue, prawn cocktails and jaffles. Wash it down with 'bathtub gin' to truly make Nan proud. Like the gift that just keeps on giving, our favourite Woolloongabba dive bar Padre has – just last week – procured a fresh batch of board games. Come for the games and stay for some jalapeno poppers or a bourbon-and-coke slow-cooked Philly cheesesteak burger. As far as Brisbane bars with boardgames go, this homely south side speakeasy is prime territory to hang out and engage in a bit of 'best-of-three' action. Loser shouts a round of pickleback whisky shots or signs up for the next open mic night. Are you game? Have we missed your fave Brisbane bars with board games? Let us know in the comments below! Travel writer by day, freelance foodie by night and full time cake enthusiast. When Ashton isn't at one with the keyboard, you'll likely find her saluting the sun in a yoga class, absorbed in a 90s sitcom marathon, or practising the timeless art of Instagramming around Brisbane. Twitter: @AshtonRigg. Want more from Ashton? Read more here!